OpenStreetMap is a free, community-generated map of the world. 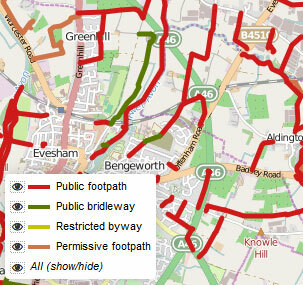 This unofficial site presents data that has been added by volunteers in the Vale of Evesham area of England. You can find out more about OSM, including how to contribute, on the official site. As well as a map, OSM is also a geo-database, and this site presents some of the 'hidden' data that doesn't appear in the standard map renderings. 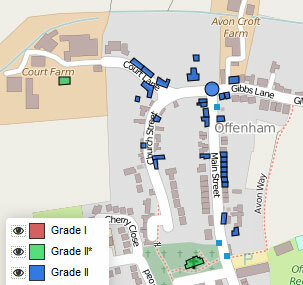 Such data includes addresses and postcodes, shop opening times, blue plaques, listed buildings and much more. Through viewing the map and the associated information presented here, it is hoped more people will be encouraged to contribute in order to improve and expand the data available. 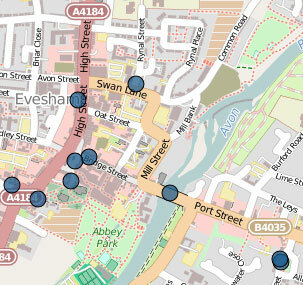 If you have any suggestions or questions, please contact website@evesham-mapped.org.uk. 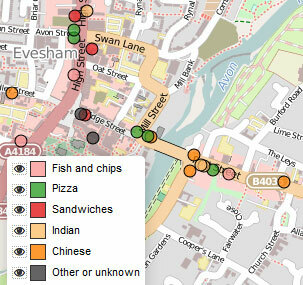 The Evesham Mapped website was created by Will Phillips and Richard Phillips. The data used on this site © OpenStreetMap contributors. 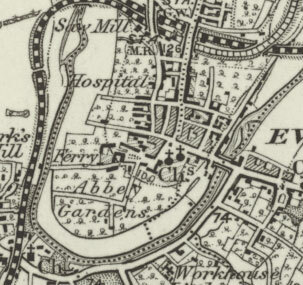 The maps and information are free to use with an appropriate credit line - see the Attribution information. This page updated 5 November 2015.